﻿ The Lodge on Loch Lomond Hotel Luss. JIMAT di Agoda.com! 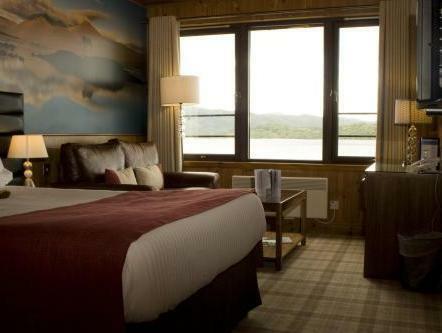 Ada soalan mengenai The Lodge on Loch Lomond Hotel? 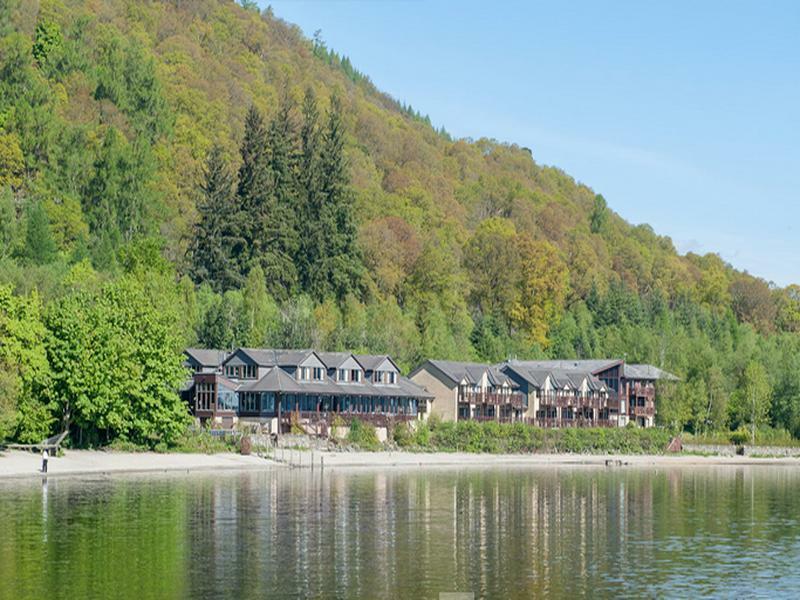 Dibina pada 1992, The Lodge on Loch Lomond Hotel merupakan tambahan menarik di Luss dan satu pilihan bijak bagi para pelawat. Dari sini, tetamu boleh menikmati semua kemudahan yang bandar ini tawarkan. Dengan lokasi yang mudah, penginapan ini memberikan akses mudah ke tempat yang anda perlu lawati di bandar. The Lodge on Loch Lomond Hotel menawarkan perkhidmatan yang sempurna dan semua kemudahan penting untuk menceriakan pelancong. Untuk menamakan beberapa kemudahan di hotel ini, terdapat khidmat bilik 24 jam, Wi-Fi percuma semua bilik, fasiliti tetamu kurang upaya, Wi-Fi di tempat awam, tempat letak kereta. Semua bilik tetamu menawarkan pelbagai jenis tahap keselesaan. Banyak bilik turut menyediakan televisyen skrin rata, sofa, bilik larangan merokok, pemanas, panggilan kejut untuk memuaskan hati tetamu. Hotel ini menawarkan banyak peluang rekreasi yang unik seperti tab panas, pantai peribadi, sauna, kolam renang tertutup, bilik wap. 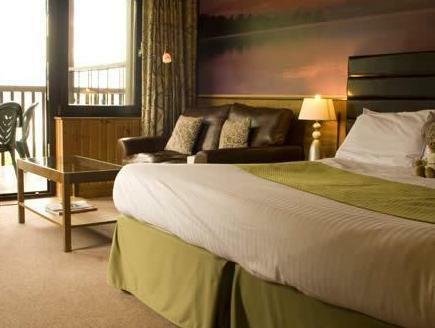 The Lodge on Loch Lomond Hotel merupakan tempat yang ideal bagi penginapan pelancong yang mencari keindahan, keselesaan dan kemudahan di Luss. Couldn't fault this place , value for money, food, cleanliness, facilities, and a peaceful and relaxing ambiance , and good helpful staff it has it all, definitely would come again. The room lighting was dull, no light at mirror. Shower tray on outside very dirty on one side around the rims. Hall carpets threadbare in places. Jacuzzi not working in spa. Dinner menu lacked plain choices. Chips were over cooked & extremely greasy. We have stayed there before & had a wonderful meal, sadly not this time. It is a good location and we enjoy our time over there. Before we had problems with one of us, felling down with his motorbike, he was lying down in the hospital in Inverness. Our holiday was not good ending. Your hotel is very good. It was for me the second time I have been there. The lady's on the reception could be smiling more. And one off them I told here please speak not to quick cause i'm not speaking the language so quick. hahahaha. Til next time. 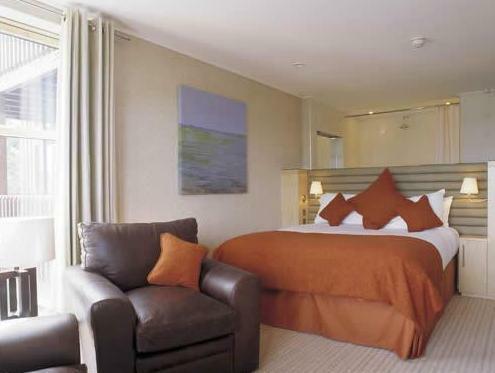 Located just next to the loch and the pier for crusises. Very convenient for water activities. Very peaceful environment with lots of birds around. Only limitation is lacking cooking facilities, and limited variety of food provided at the hotel restaurant. Great location right on waterfront. Easy walk to town . Make sure your room has a loch view ( as ours was on the side) and therefore only a side view of trees & loch if you stood next to window! Staff were excellent. Restaurant was good. The view is spectacular!!! The server in the restaurant needs to smile more! We had a great time here. The weather was lovely so we were able to enjoy the private beach and our room balcony. Our room was large and had a great view of the loch. However the room set up is a bit odd. There is no bathroom privacy. Some of the staff were very nice but others seemed to not care. I think they forgot that they work in a service industry. However I did enjoy my time here. Wonderful location with superb facilities. The restaurant was very good.. Great position for exploring the area. Staff were welcoming and helpful. We will return sooner rather than later. A really nice hotel with good facilities. We stayed for a couple of days and found everyone helpful and friendly. Everything you need for a relaxed break. Walk out of the hotel and straight onto a small beach and a short stroll to the village. Lovely hotel, location and staff. We had an executive Munro which was lovely and clean with a super view of the Loch and we could have stayed much longer than we did. The only down side was the breakfast, black pudding over cooked, scrambled eggs bland and not a great deal of choice. Would go back in an instant. The the hotel was clean and comfortable although it was getting to look a bit tired. We had a complete fiasco over dinner. It took over 20 minutes for our order to be taken and another 10 for drinks to arrive. It got worse from there. Ultimately, and for the first time ever, we walked out of the restaurant before dessert arrived. By this time we had been in the restaurant for over 2 hours. When I went to settle the bill on checking out, we had not been charged anything for our dinner. When I queried this I was told that they had decided not to charge us as they were aware of the previous evenings service problems. Whilst I appreciated the gesture I felt awkward about this. It was obvious they had problems that night that they could not deal with and should have closed the restaurant or offered a basic menu rather than subjecting guests to such a miserable experience. I have no problem with the hotel but CANNOT recommend the restaurant. The view from the room was breathtaking you could see all the loch in its glory. Because the crown lodge is practically sitting on the waters edge looking straight up the loch. Also the room was fantastic even had its own sauna. The staff where all very helpful and kind I would stay here again. Continental breakfast was boring. Please develop up to 2016 standard. The menu sereved was as first time on charter Tour in the 1980's. Can't fault any part of this visit! Our room was fantastic, location was perfect as were the staff and services at the location. I will most definitely stay here again. The view from our room, and from the dining room, was fantastic. The sauna in the room was very cool too. We had a great stay - lovely room, great view. The service in the restaurant was not great but the food was very nice (if a little over-priced for the serving size). Lovely stay! I would recommend this hotel. 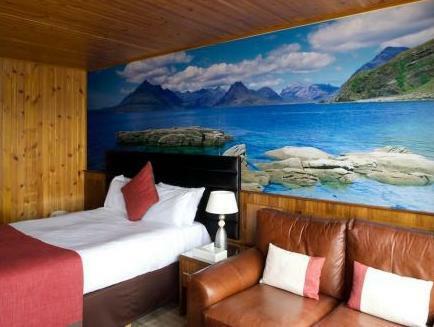 It is within walking distance of restaurants, cafes and the boat trip around the Loch.